This game is a set of four card games that addresses impulsivity. The essential skills for inhibiting impulsivity are: STOP and redirect behavior; REWIND and learn from past mistakes; and FAST FORWARD and think ahead about potential consequences. 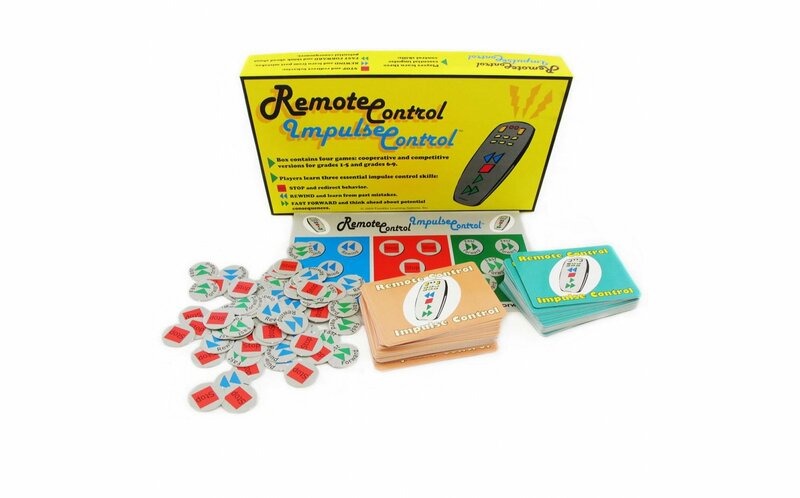 The game uses the remote control symbols to facilitate learning the skills. 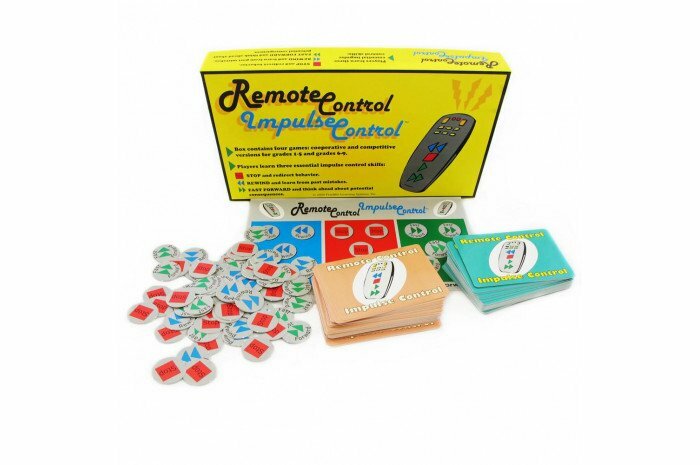 There are both competitive and cooperative versions for grades 1-5 and for grades 6-9. Each age group has its own set of cards. All players practice all three skills during the course of the game. In addition to practicing these skills, players practice planning ahead and learn social skills as well as exercising frustration tolerance.